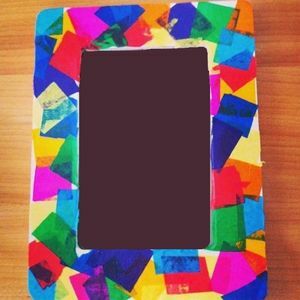 Create a decorated picture frame using tissue paper and glue to mimic the appearance of stained glass mosaic. Make one to give as a gift for Mother's Day or use it to frame a favorite picture. Ages 8 and up. Registration is required.